A place for everything, and everything in its place. 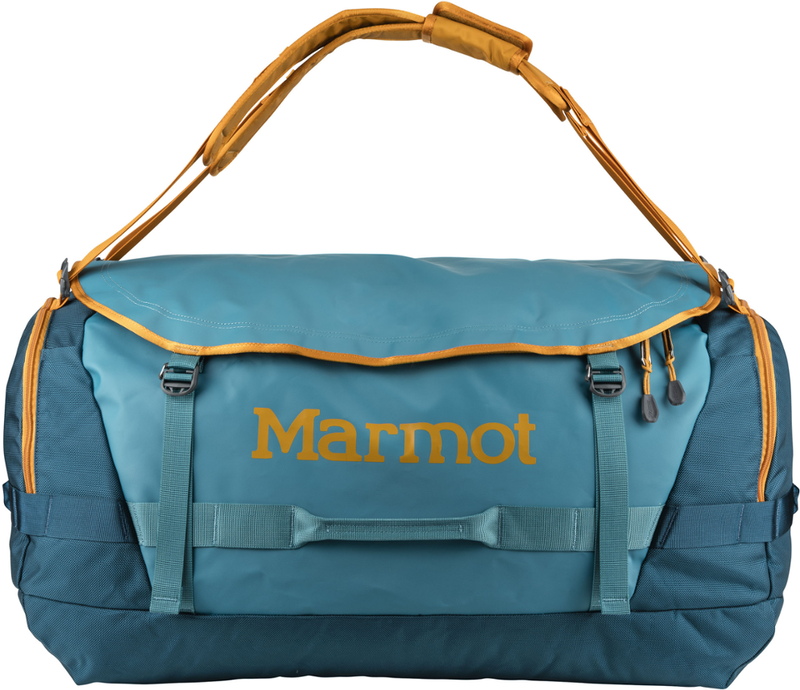 The SnowKit is perfect for front country, side country and backcountry skiers alike so you can spend less time digging through your messy car and more time on the slopes, no matter how you get there. When the day ends, shove your boots in the dedicated and ventilated end compartment, pack away your wet clothes, and off you go. Travelling to the descent of your life? 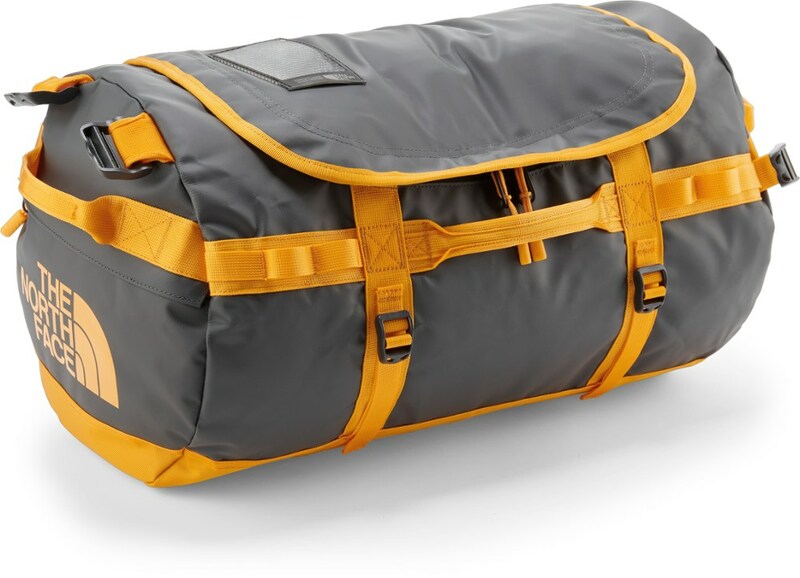 Deploy the padded harness and toss the bag on your back as you stroll through the terminal. 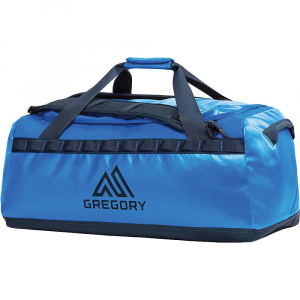 Rugged like a duffel, carries like a backpack and organized to match your lifestyle, these bags serve as grab-and-go base camps for any activity, anywhere. . . . Main: 210/420/630D Nylon Dobby Blend. . Accent: 420D Trapezoid Nylon Ripstop. . Bottom: 1680D Ballistic Nylon. . Stowaway contoured harness and yoke for comfortable backpack carry. . Tuckaway helmet carry. . 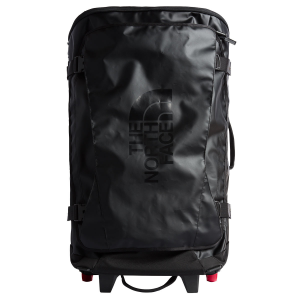 Dedicated zippered and ventilated footwear end compartment. . Large lockable U-zip access to main compartment. . Four burly grab handles. . D-ring attachments for adding a shoulder strap (sold separately). . Weather-protected main compartment zip path with overlapping rain flaps. . Lower web lashing points for securing duffels. . Side panel web lashing points for securing duffel or attaching gear. . Dual-zippered 3-D end pockets with overlapping rain flaps for quick access to smaller items. . Internal zippered mesh side panel pocket. . Large end compartment for ski/snowboard boots with ventilation window. . Dual compartment internal zippered mesh organizer pocket for small items. . Padded side grab handle. . Zippered side compartment with water bottle carry/webbing straps for attaching accessories. . Contoured harness straps. . Soft, breathable contact surface for comfortable feel. . Adjustable sternum strap with whistle. . When you're spending a day in the snow, you need a place for everything and to have everything in its place. 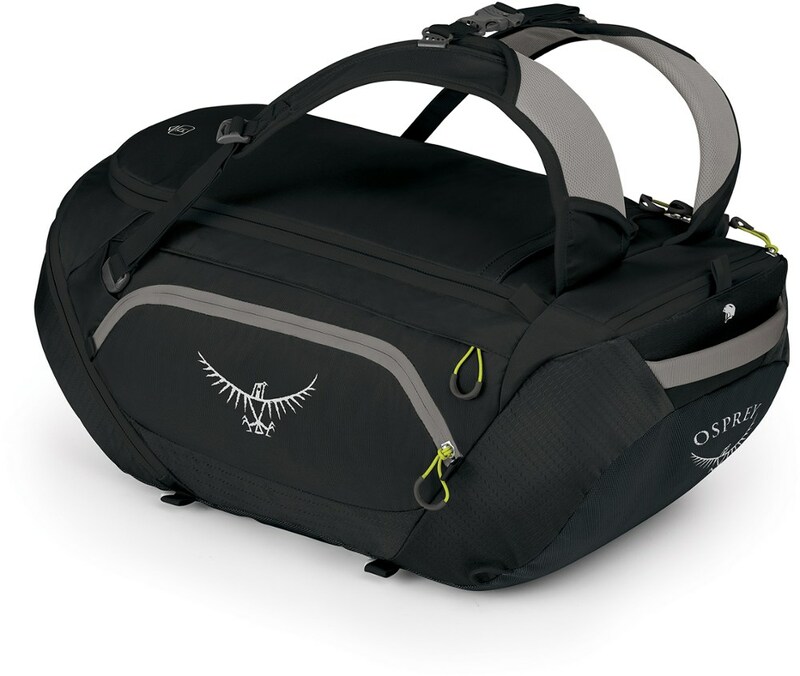 The Osprey SnowKit duffel offers superior organization and convenience for snowsports gear. Your days of realizing you left your goggles and ski boots at home when you're half way to the resort are numbered. 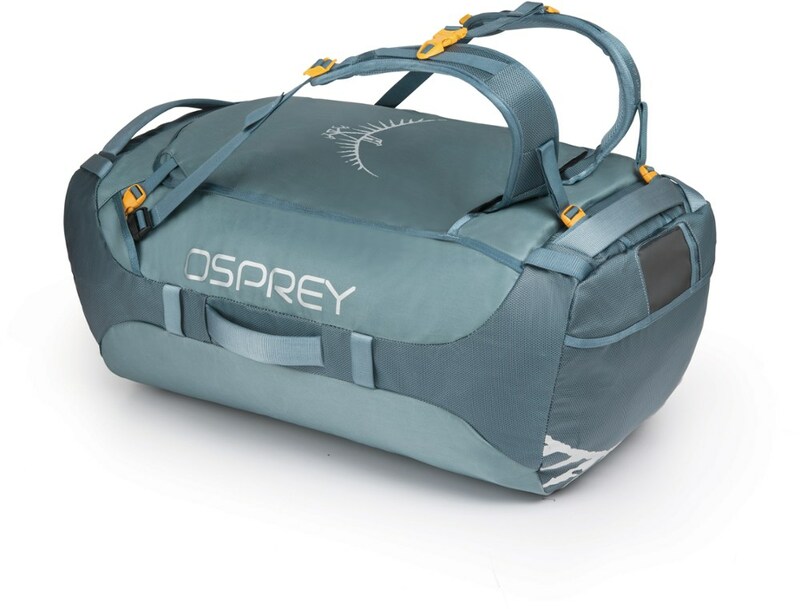 Designed to keep all of your essential snow gear in one place, the Osprey SnowKit 45L Duffel has a weather-resistant main compartment for the big stuff and a ventilated compartment for your boots. 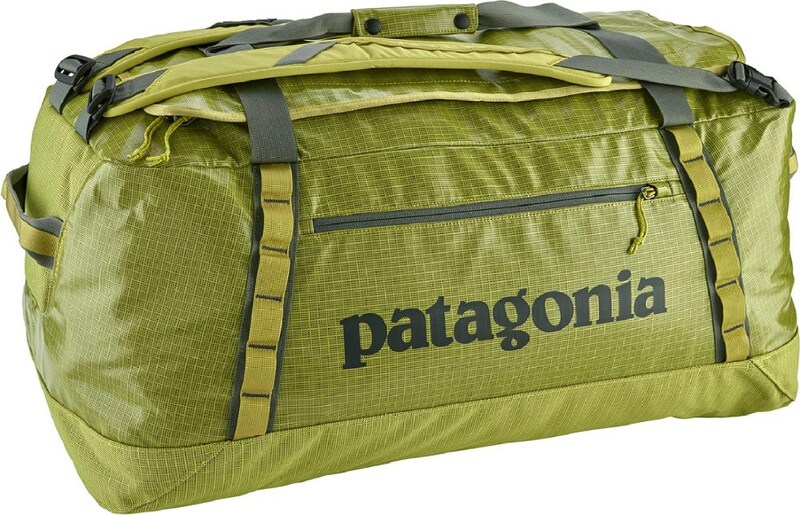 Dual pockets on either end of the duffel carries your goggles and beanies, while a zippered side pocket stashes whatever else you need for a solid day on the mountain.